Our thanks to the 60 plus residents who, undaunted by the prospect of an AGM and the inclement weather, attended our recent (13/11) AGM and Planning Forum. Your attendance and, at times “lively”, participation made for a successful evening. • guest speaker, Ron Torres (Glen Eira’s Manager, Town Planning and Transport and one of the principals involved in the recent zone implementation) – Ron provided a good overview of Glen Eira’s residential zones* and readily responded to questions asked. Unfortunately, although all Councillors praised the zone implementation and endorsed the implementation without community consultation, no Councillor attended the only Council presentation to the community on the zones – Crs. Okotel and Lobo offered apologies. As a member quipped during a “lively” moment, “this is why no Councillor is here”. As previously mentioned, the presentation focused on the recently implemented residential zones and their height limits. The new zones and related schedules built on the previous Minimal Change/Housing Diversity Areas, by continuing to focus development in and around transport nodes and by enabling further definition of what can be built where. In addition to the prescribed heights, Ron said that additional planning controls were provided via overlays (eg. Heritage, Neighbourhood Character etc. ), Rescode (particularly side setback requirements) and Preferred Character statements/policies. For example, depending on the lot size, side set back requirements may provide an additional height control element by making the top floor too narrow to be feasible. Ron also commented that the next 12 months will be a transition period with planning permits being evaluated or finalised under different rules. 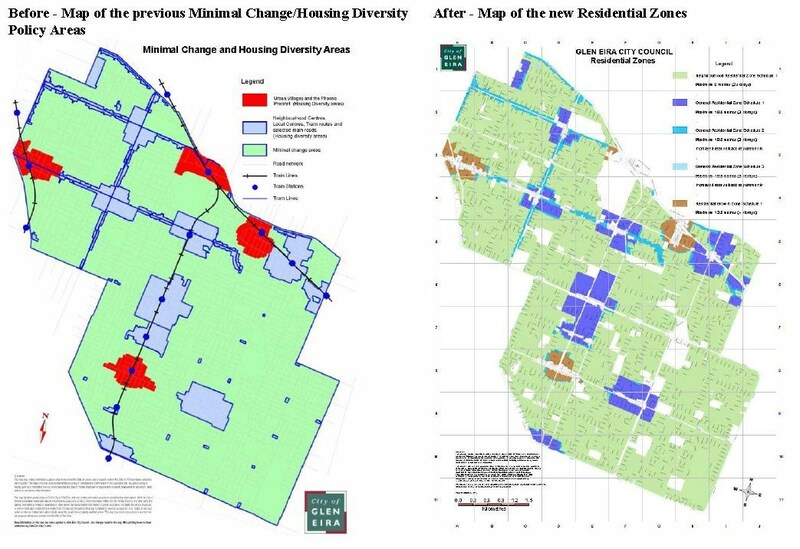 The Minimal Change/Housing Diversity Areas policies will be applicable to planning permit applications (both new and extended) submitted prior to 23rd August, 2013, while planning permit applications submitted post 23rd August, 2013, will be evaluated under the “new” Planning Zones. • Why was Glen Eira “first cab off the rank” in implementing the zones and why was there no community consultation? Ron commented that the concept/s of the zones are not new to planning or planning officers and that the zones aligned with Glen Eira’s previous Minimal Change/Housing Diversity Areas. Therefore, Council requested the Minister to exempt the zone implementation from community consultation as the implemented zones were a direct conversion of the Minimal Change/Housing Diversity Areas and incorporated residents’ concerns. • To what extent are the contents of the Zone Schedules mandatory on both VCAT and planning officers (who frequently “consider acceptable” discrepancies between a development proposal and the planning scheme)? Ron commented that all contents of the zone and associated schedules are mandatory. As an example, the maximum of 2 dwellings per lot in the NRZ was not dependent on lot size – under the new zones the Alma Club (if on one title) would be restricted to two 2 storey dwellings. Ron also stated that Glen Eira Planning Officers are receiving complaints and criticism from developers for the 2 dwelling limitation. • What consideration was given to traffic and parking issues in the residential zone implementation? Ron commented that the residential zones are related to housing policies rather than traffic and parking management issues. However, by concentrating development in/around public transport routes and nodes (which have historically also become retail/commercial centres), use of public transport (rather than private vehicles) is encouraged. Council has separate policies re traffic and parking management, sustainable transport and active (pedestrian and cycling) transport. • Why was the Alma Club, previously classified as Minimal Change, now zoned as a General Residential Zone (3 storeys with side setbacks) while the development proposal was subject to VCAT mediation. Ron commented that this was a change made by the Minister and was not requested by Council. The questioner then commented that the Minister’s interest in a “relatively” small parcel of land was particularly strange. • Why doesn’t Glen Eira have structure plans? Structure plans provide a strategic justification for height controls, are generally accepted at VCAT and would have introduced height controls prior to the zone implementation. Ron commented that structure plans are only applicable for targeted areas and were of limited use for larger overall areas (such as the NRZ). Structure planning requires extensive and expensive strategic work and are not binding on VCAT. • Is basement car parking included in the height restrictions and if not is it a “way around” height restrictions? Ron commented that height measurements are taken from ground level and therefore do not include below ground car parking. Currently, provision of underground car parking is a design decision made by the developer. However, with the implementation of zone height limits, provision of underground car parking may increase as a means of maximizing development potential. • Why has Glen Eira set a lower (25%) permeability requirement in the NRZ zone than other Councils? Ron commented that the permeability requirement was based on Glen Eira’s demographics (aging population, children) and their need for solid surfaces. Once again we thank all attendees, Gerry and Ron for an informative evening and their support. This posting is another in GERA’s series of postings on the recently implemented planning zones. While our earlier post provided maps and summary information on all the zones (Where and What They Are) , this post will provide additional, lesser known, information on the content of those zones and their potential impacts. As per our earlier posting, we advise residents of GERA’s 13/11/2013 AGM and Planning Presentation (Speaker to be Mr. Ron Torres, Glen Eira’s Manager Town Planning and Transport) – details. This is an opportunity for residents to learn, and ask questions, about the newly implemented planning zones. The Zones are part of sweeping reforms arising from rapid population growth and the resulting need to streamline the planning approval process. The Zones build on the Minimal Change/Housing Diversity Area policy introduced in 2002. With Melbourne’s population currently rising at an estimated 1,000 per week, GERA believes that the impact of the Zones implementation will be felt far quicker than the impact of 2002 Minimal Change/Housing Diversity change was. As with any sweeping change there will be winners and losers – only informed residents can determine which one they consider themselves to be. – within the Neighbourhood Residential Zone (NRZ) Medical Centres, Places of Worship, Education establishments which previously required a planning permit are now allowed (depending upon location and scale). These developments, which satisfy the location and scale requirements, will not require a planning permit and will not be subject to NRZ schedule requirements (eg. 2 storey height limits). – within the Mixed Use Zones (MUZ) Taverns no longer require a planning permit and are classified as “Allowed” subject only to liquor licensing requirements. Lot size – in all zones the minimum lot size has been reduced. Floor Space Requirements (applicable to Commercial, Mixed Use and Industrial Zones) have been either reduced to increase the number shops/offices and the maximum floor space cap has been expanded to provide for larger establishments (eg. supermarkets). Residents should be aware of these changes, while they do no prevent lodging objections to development proposals, they diminish the grounds for lodging those objections. Third Party Objection and Appeal Rights (TPOAR) – The Schedule to the Mixed Use Zone “Section 4 – Exemption from Notice and Review” grants local authorities (ie. Councils) the power to exclude TPOAR via the zone schedule. Glen Eira currently has none specified. The State Government’s inclusion of the section and it’s intent is disconcerting. In the above paper Council acknowledges that their policy based planning scheme has inherent limitations as “Policies are not binding on VCAT” and that the same limitations apply to planning schemes based on structure plans – “structure plans have the same status as policies and VCAT is under no obligation to apply them”. Yet the majority of Council’s (most notably Glen Eira’s bench mark Councils) who have undertaken structure planning have successfully introduced permanent height controls in their planning schemes and also been successful in applying for interim height controls pending the implementation of permanent controls. Additionally these Council’s report fewer VCAT appeals against decisions based on structure planning and VCAT overturning few decisions based on structure planning. So what are Structure Plans – Structure Plans are plans which recognize that in planning “all things” are interconnected (with wide spread flow on impacts occurring across a broad spectrum) – this inter-connectivity is recognized and planned for. (For a lay outline of structure plans refer to GERA’s 12/1/12 structure plan posting). Structure Plans are tiered plans (for example, Municipal structure plans flow down to activity centre structure plans which recognise the “goals” included in the higher Municipal Plan and interpret or development them it a way that supports the unique characteristics and demands of each activity centre. Likewise, each activity centre may have a subset of structure plans for distinct areas within the centre (eg. areas with heritage considerations, areas of commercial or retail activity). Structure Plans while expensive and time consuming to implement make intrinsic sense and avoid the pitfalls encountered by policies which tend to be of a “one size fits all” and stand alone (do not recognise connectivity) nature. It is also interesting to note that in the recent Stonnington 499 Orrong Road (a development that is dwarfed by the Caulfield Village development, a.k.a. C60) decision, Planning Minister Guy emphasized the significance of structure planning. Planning Minister Guy has stated that the development of structure plans is integral to the Fishermans Bend development (insert link). GERA welcomes the application of height limits on the residential zones, however, that does not preclude questioning why structure planning is not undertaken in Glen Eira or why structure planning was not undertaken for each activity centre, urban village, local centre or neighbourhood centre when the concept was Minimal Change/Housing Diversity Areas were introduced in 2002. While the below “Before and After Maps” (ie. Map of the previous Minimal Change/Housing Diversity Policy Areas and Map of the new Residential Zones) provided on Council’s website provide an overview of the Residential Zones, they do not present details on all the zone changes and do not provide the level of detail required for residents review. Nor is the level of detail consistent between the two maps (eg. street identification). For these reasons we recommend residents refer to the maps, maintained by Council, on the Department of Community Development’s website* when reviewing the new zones and assessing their implications. All zoning is identified on each map (Glen Eira is presented in 4 segments) and the zoom feature enables review at the property lot level. Additionally, overlays can be included if requested. Tovak Akas Avenue, Bentleigh (Planning Scheme Amendment C98 was sought to rezone a sizeable lot from Industrial 3 to Residential 1 (Minimal Change) in July 2012. Although, the lot’s size was recognised as being suitable for more intensive development than is usual in a Minimal Change Area it is now zoned as RGZ2 (3 storeys) on the DPCD maps yet is NRZ (2 storeys) on Council’s overview map (above). Areas along the Nepean Highway, particularly in Bentleigh, are now shown as Commercial Zones. Residents are urged to report any discrepancies they find to Council and their Ward Councillors. To aid review, the following is a brief outline of the zone abbreviations appearing in the DPCD Maps. Subsequent postings will involve a detailed review of the various zones. C1Z – Commercial 1 Zone (previously known as Business Zones 1, 2 & 5) – broadens the range of activities that land can be used for without the need for a planning permit (eg. supermarket, accommodation, majority of retail uses) and removes floor area restrictions. No height limit is specified. C2Z – Commercial 2 Zone (previously business zones 3 & 4) provides opportunities for smaller office, commercial businesses, some retail premises, trade supplies, cinemas, food and drink premises and some limited retail activity. Floor area restrictions for office and some retail uses reduced. No height limits are specified. GRZ – General Residential Zone – Provides for a diversity of housing types and moderate housing growth. Mandatory height limit defined in Glen Eira – 10.5 metres (3 storeys). Setbacks requirements differentiate GRZ1 and GRZ2. Medical centres and places of worship allowed without a permit if conditions limiting their location (proximity to major road, activity centre) and scale (floor area) are met. 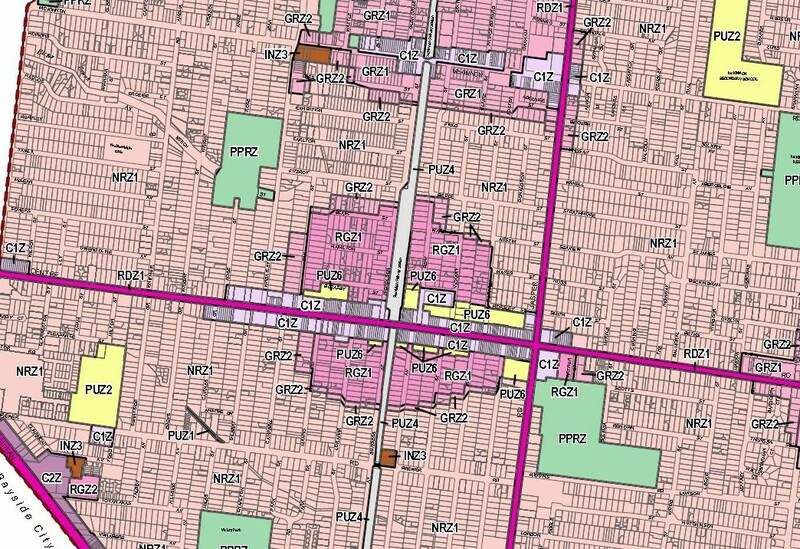 MUZ1 – Mixed Use Zone – provides for housing at higher densities by reduced lot sizes and, although height limits may be set, Glen Eira has “None Specified”. No permit required for Food and Drink premises, Medical Centres, Offices and Shops and floor space restrictions eased. NRZ – Neighbourhood Residential Zone – refers to areas where there are limited opportunities to increase residential development. Mandatory height limit of 8 metres (2 storeys) and generally 2 dwellings per lot although Council may vary depending on the lot size. Medical centres and places of worship allowed without a permit if conditions limiting their location (proximity to major road, activity centre) and scale (floor area) are met. PDZ1 – Priority Development Zone – Zone, to be replaced in July 2014, applicable to Major Activity Centres. In the Glen Eira context it refers to Phoenix Precinct, Caulfield North, which includes the major Monash University expansion and the Melbourne Racing Club’s major residential/commercial/retail development known as Caulfield Village and frequently referred to as C60. PUZ – Public Use Zone – public land used for public utility, community services and facilities. RGZ – Residential Growth Zone – increased densities up to and including four storeys (13.5 metres).The zone is seen as a transition zone between areas of more (Mixed Use and Commercial Zones) and less intensive (General Residential and Neighbourhood Residential Zones) development. No permit required for shop, food and drink premises, Medical centre and Place of worship if conditions limiting their location and scale are met. SUZ1 – Special Use Zone. Applicable to MRC owned land around the Caulfield Racecourse Reserve. Only applicable for use when a site adjoins more than one zone and the strategic intent of the site, if it was to be redeveloped, is not known and it is therefore not possible to determine which zone is appropriate. * The DPCD website may be slow in downloading the maps. Maps GERA downloaded 16/9/2013 are available below and should be not be taken as current. GERA is not responsible for any map modifications since 16/9/2013. GERA promises to keep the formalities brief to take advantage of our guest speaker’s presentation. Ron Torres, Manager, Town Planning and Transport. The August, 2013 implementation of the Planning Zones has been described as the biggest change to planning in the history of Glen Eira. 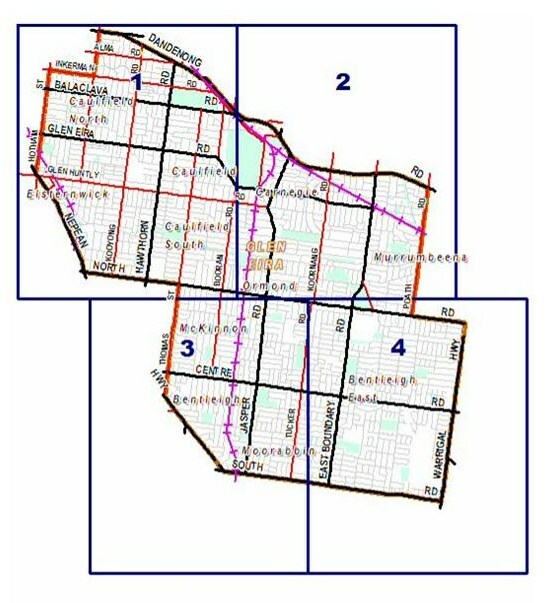 Mr. Ron Torres was one of the principals involved in applying the zones across the Glen Eira Municipality. This is a rare opportunity for both members and non-members to hear from one of Council’s Senior Planning Managers on the zones and how they impact residents. It promises to be both a topical and informative evening. GERA thanks Council for giving residents the opportunity of hearing details of the residential zones implementation from a Senior Planning Officer.